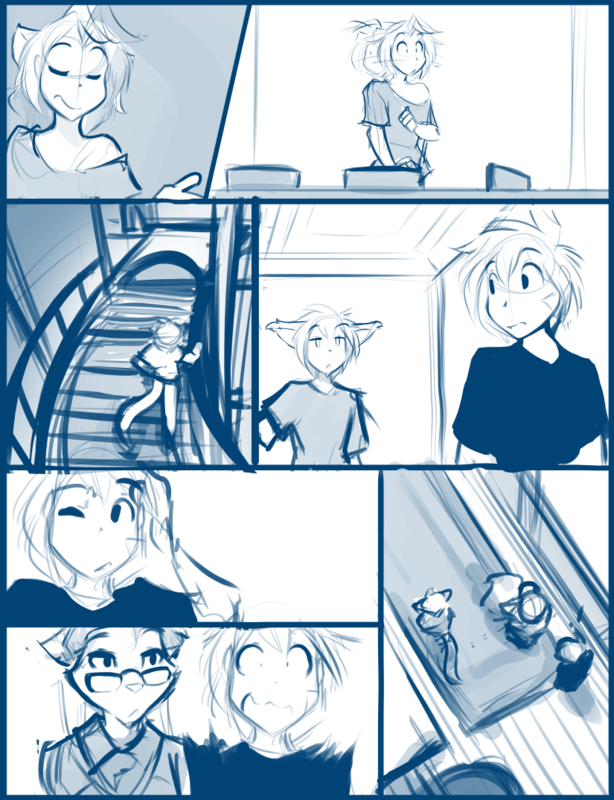 1029: Sneaking Around - Twokinds - 15 Years on the Net! Karen: So what’s the deal with that weird looking Basitin? Why is his ears all floppy and- What? Karen: How… where did everyone go? Trace: Hm? Flor- Oh. Hey, Keith. Have you seen Flora around? Keith: Nope, sorry. She’s not in the dining room. Keith: Maybe you could try asking your servant? 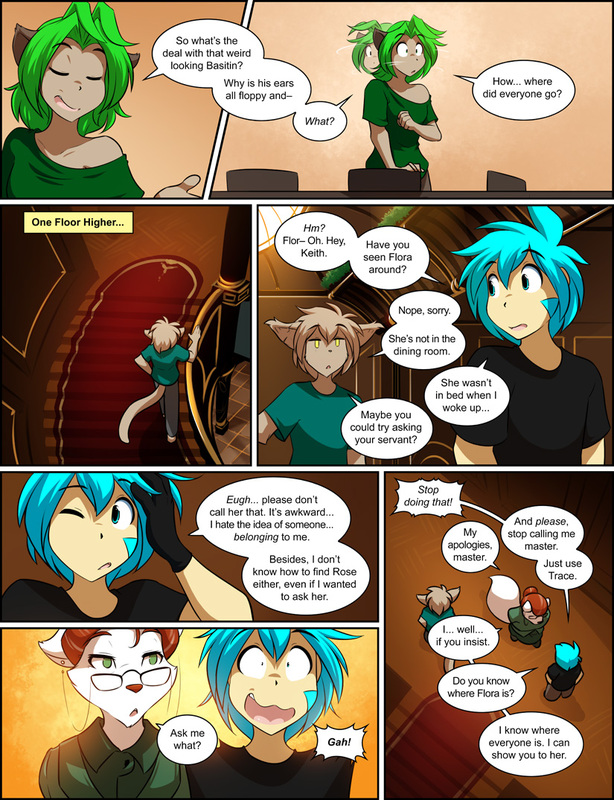 Trace: Eugh… please don’t call her that. It’s awkward… I hate the idea of someone… belonging to me. Besides, I don’t know how to find Rose either, even if I wanted to ask her. Trace: And please, stop calling me master. Just use Trace. Roselyn: I… well… if you insist. Trace: Do you know where Flora is? Roselyn: I know where everyone is. I can show you to her.